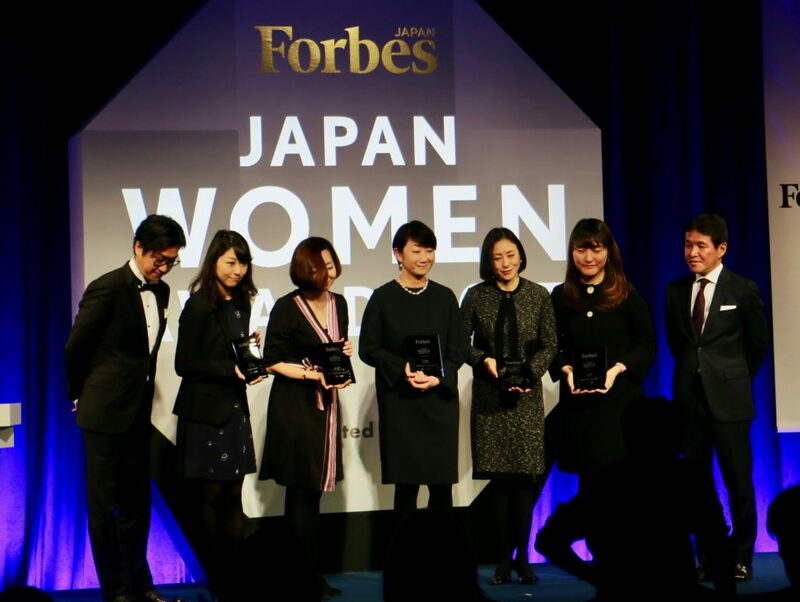 For the second consecutive year, in December 2017, business magazine Forbes Japan gathered a large audience in central Tokyo to celebrate the outstanding work of women and companies in Japan. Here's who got the wins this time. 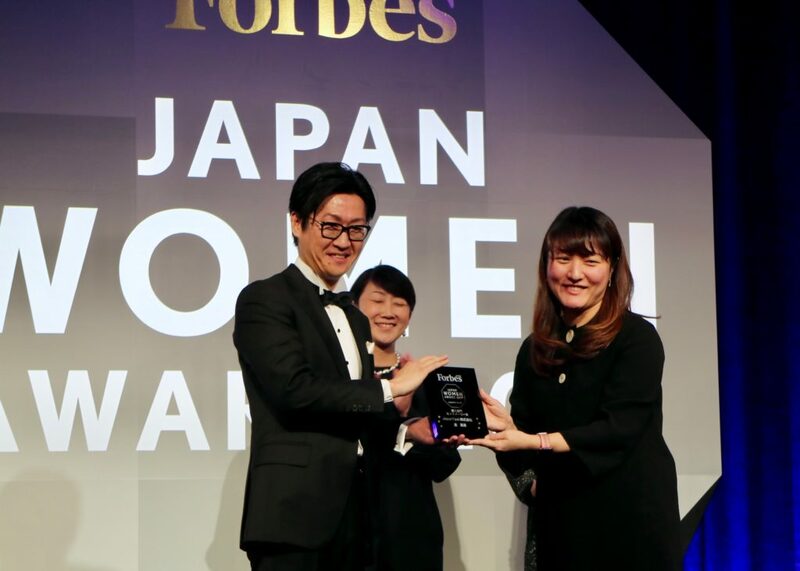 In a ceremony held at Ritz Carlton in Tokyo’s Minato district on December 21 last year, business magazine Forbes Japan announced the winners of their, now annual, Japan Women Award. 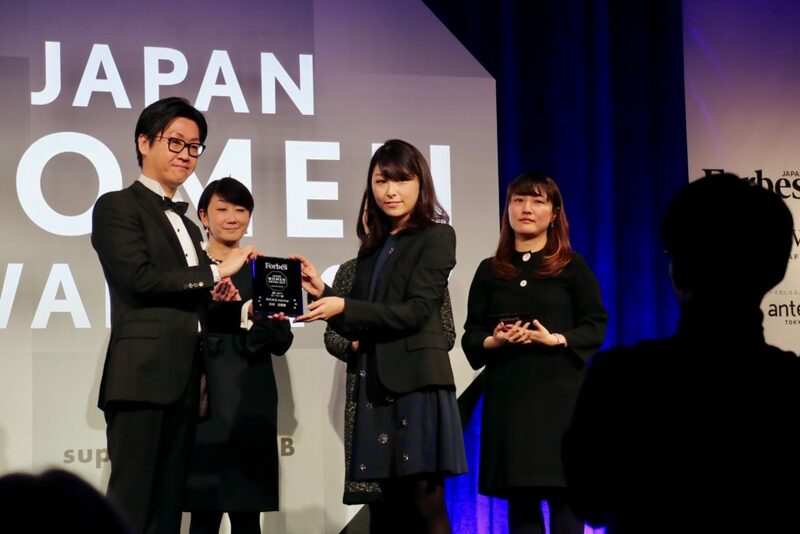 Launched in 2016 for the first time, the award recognizes female entrepreneurs and companies working to promote gender equality at the forefront of Japan’s corporate world. 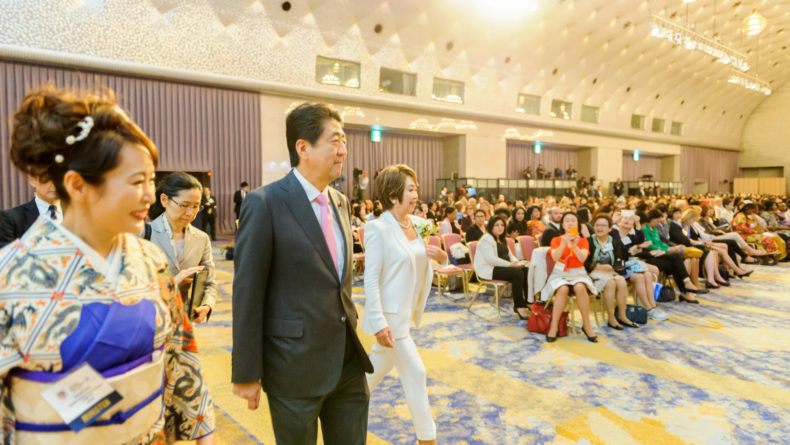 Given that Japan’s rank in gender equality in the workplace dropped once again — by three slots — on the World Economic Forum’s global gender equality rankings in 2017, placing 114th of 144 countries, the award was, to say the least, necessary and appreciated. Slightly amended from last year, this time the award was divided into three major categories, each featuring several subcategories: 31 Company Awards recognizing companies who have established norms toward promoting women-friendly work environment and gender equality in the workforce; five Individual Awards, recognizing women’s outstanding achievements at work, and nine Special Division Awards, given to companies for special achievements in changing the traditional corporate mindset, having a unique vision for the future, and human resource development. 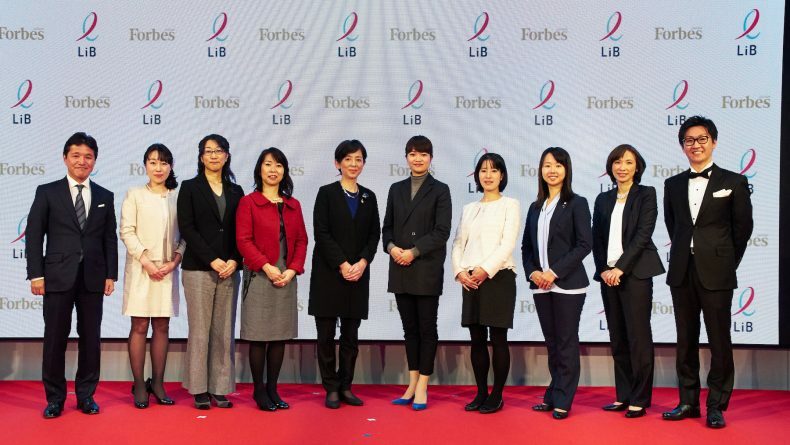 The winners of Forbes Japan Women Award 2017’s Individual Awards: (from left to right): Sponsor company Lib CEO Yusuke Matsumoto, Hinae Niori, a representative from Facebook Japan on behalf of award-recipient Rie Furuta, Meyumi Yamada, Naomi Ehara, Goeun Kim and Forbes Japan Editor-in-Chief Makoto Takano. According to Forbes Japan, recipients of the Individual Awards were selected among all nominated companies based on open surveys and recommendations from the award’s screening committee and advisors. The final screening was conducted by a committee of board members and advisors, comprised of seven individuals, including a university professor, a journalist, non-related company presidents and a representative from Japan’s Ministry of Economy, Trade, and Industry. 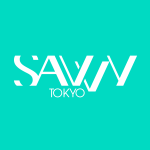 Savvy Tokyo reports on the profiles of the five women who won Individual Awards and who are making waves in Japan’s workforce. 1. Grand-prix: Meyumi Yamada, Executive Director, Chief Quality Officer, istyle Inc. 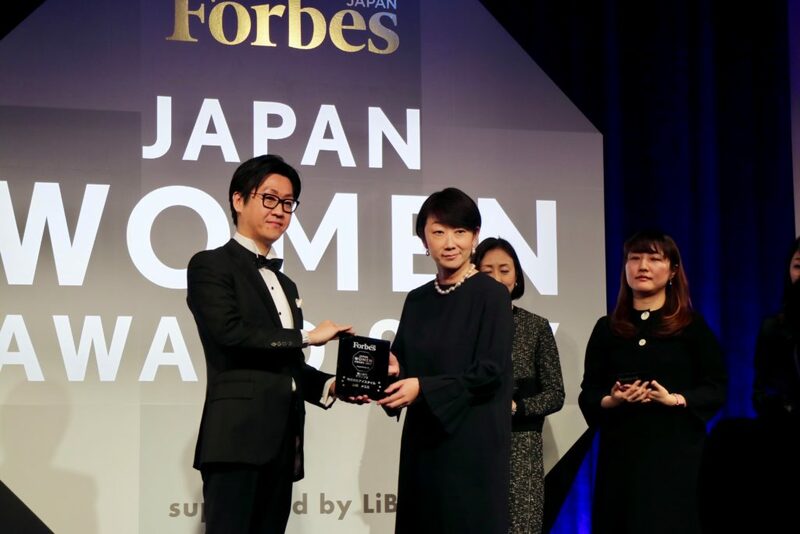 Serving as the current CQO and executive director (and the only female board member) of istyle Inc., the company behind Japan’s largest cosmetics portal @cosme, Yamada is a woman who deserves more than one award. Born in 1972, she began working at a cosmetics company after graduating from college, but it wasn’t until the late 90s that her work really started to pay off. Out of personal interest, she started her own newsletter about cosmetics, which to her surprise, took off well. In fact, so well that she decided to co-establish a company in 1999, along with Tetsuro Yoshimatsu, the current president of the company, to manage the website. Meyumi Yamada accepts her award at the Forbes Japan Women Award 2017, on Dec. 21, 2017 in Tokyo’s Minato ward. After devoting her 20s and 30s entirely to work, at the age of 40, Yamada gave birth, an event she refers to as a milestone not only in her private life but career, as well. It helped her see the struggles working mothers face from a first-hand perspective and helped her realize the need for a major improvement for working mothers in the Japanese workforce. In 2016, she established a spin-off company, IS Partners, a beauty content production company which offers a customized workstyle to all its employees (mostly women) depending on their family conditions. Employees with children or those taking care of elderly parents or family members can select their style of working, from the actual workplace and employment type, to work hours. The company also supports women’s empowerment through customized corporate training and workshops — and has paid days off for each employee for their child(ren)’s birthdays. In the future, Yamada is looking into establishing a senior employment system at the company with the aim to provide more opportunities for elderly people. 2017 was a good year for Japan Taxi and its users — the company finally launched a useful app, “Zenkoku Taxi,” which allows users to call taxis from virtually anywhere in Japan and pay online from their phones through a “Japan Taxi Wallet” pay system. But it took a long time — and one woman’s continuous struggle — to persuade her male colleagues that it’s about time to implement the service. The woman’s name is Goeun Kim, a South Korean raised in Japan since the age of 16. Kim joined Japan Taxi in 2015 and developed the idea of Japan Taxi Wallet right away, but her proposal was met with doubt by the majority of her colleagues. “I went through a major culture shock — women were still perceived as supporting employees,” Kim tells Forbes Japan in an interview for the magazine’s February edition. Goeun Kim, right, accepts her award. The app was a major success, however. And so was another of Kim’s projects — a free distribution of maternity kits to mothers who have subscribed to Japan Taxi’s “Contraction Taxi,” a special transportation service for mothers about to give birth. The kit includes diapers, formula bottles, information about children incidents prevention and more. Again, Kim’s male colleagues were suspicious about the new service. However, since the maternity kit was introduced, subscribers to the service increased dramatically, and it was then when she finally received recognition for her work at the company. Kim argues that the only way to persuade male colleagues is by giving them logical data through which they can measure the achievement of a project. This, and the guts to push her ideas through despite the opposition. 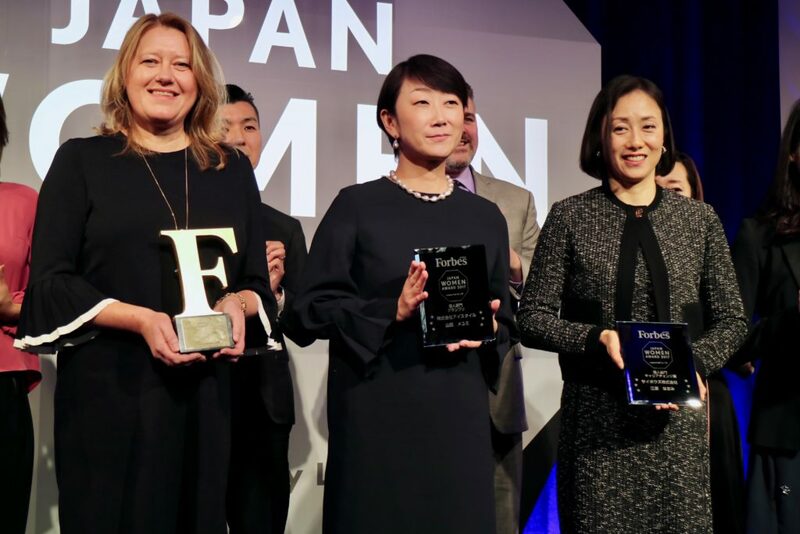 Naomi Ehara, first from right, poses for a photograph with other award recipients, Meyumi Yamada, center, and Helene Von Reis, CEO of Ikea Japan, left, who won a Corporate Award. After 16 years spent at home looking after her two sons, Ehara returned to work with a mission to change her life. Born in 1971, Ehara started working for Sony after graduating from college but quit her job after getting married. 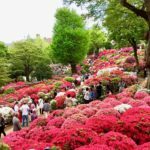 Since then, she had been mostly dedicated to her family, a choice many women in Japan still make, despite the growing opportunities. Yet, as her sons grew up, she began feeling the need to return to work. 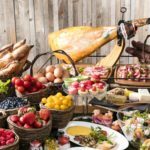 Ehara joined Cybozu, a software company based in Tokyo, in 2016 and has been at the frontline of B-to-B PR since. Also fluent in English, Ehara is now an indispensable asset to her company. Cybozu is an innovative firm that has been pushing for a more progressive working style for years now and is led by Yoshihisa Aono, the first man to sue Japan over Japanese married couples’ inability to use separate names after marriage. In-line with the company’s policies to provide an environment in which employees can have a proper work-life-balance, Ehara has chosen to work two days every week from home, a time she considers precious for her family and work, as well. Hinae Niori, right, accepts her award. 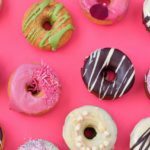 Niori began her career with a simple question: Why is there so much information online about how to build your career but not enough about how to build a happy family? Or better yet — how to do both. At the age of just 19, she founded her company, Manma, an innovative service that offers visits to different families to college students who wish to know, well, what’s it actually like to both work and have a family. The core concept of Niori’s business lies in her experience that Japanese youth is no longer interested in just work, as in previous generations, but wants to know how it’s possible to have both a stable career and a stable family. Manma, founded in 2014, has now nearly 400 subscribers and over 300 successful family visits. Niori is now working with private companies and local governments to expand her business through seminars, workshops and events. While Facebook has been actively promoting diversity and equality at work (Thanks, Mark Zuckerberg, for the regular talks about the importance of paternity leaves! ), when Facebook Japan was launched in 2010, the company was not that different from other domestic firms. Women in sales departments were rarely taking maternity leaves and a few of them would return to work after giving birth. After joining the company in 2014, Furuta knew that things had to change to meet international standards. 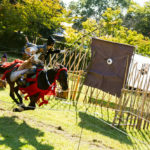 Two years later she launched a Diversity Implementation Project that aimed to raise the Japan branch’s diversity and equality standards to a higher level. One of the projects she implemented was the “child-rearing concierge” service for employees, supporting new parents to find childcare facilities. Currently pregnant with her first child, Furuta hopes to become a role model at the company and continue contributing to the change of work mindset in Japan. One step at a time. Congratulations to all of the women recognized this year, and we look forward to an even more expanded event at the end of this year! Who would you recommend for Forbes Japan Women Award 2018? Share with us in the comments. 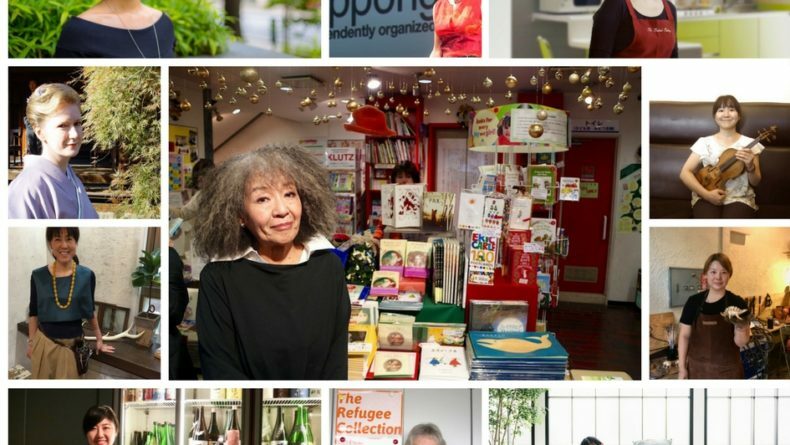 From running their own companies to making unique crafts, these women are living it up in Tokyo. From the hard-hitting manager to the avid husband hunter, discover the new archetypes of female business people in 21st century Japan.